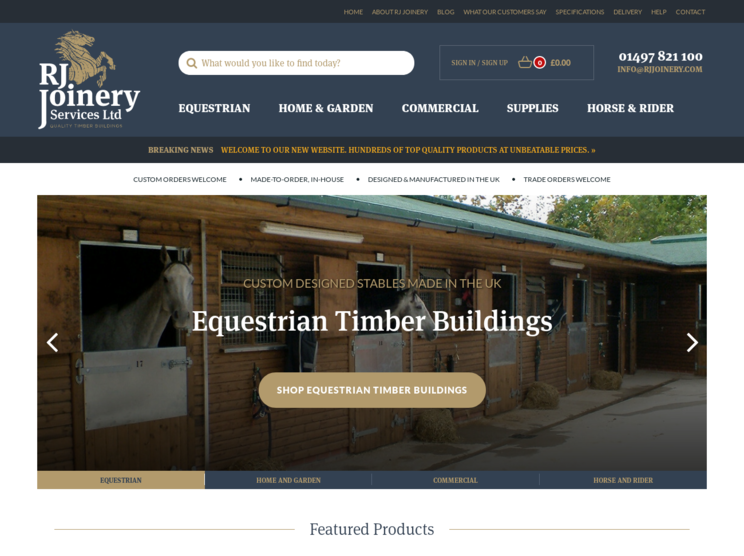 RJ Joinery is a national supplier of timber buildings and equestrian products. This is a large e-commerce website containing over 1,000 products which is easy to manage using Hughes Media's bespoke e-commerce software. 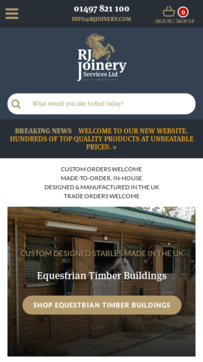 Delivery is a key factor when making an online purchase, especially for larger items and the RJ Joinery website includes a tool to calculate delivery costs both on a product page and in the shopping basket. Hughes Media worked with RJ Joinery to update the company's logo and corporate identity as part of the website redevelopment process.